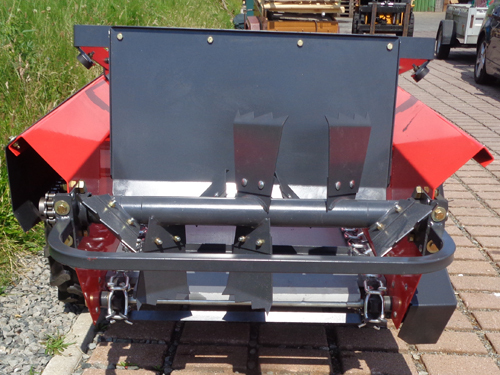 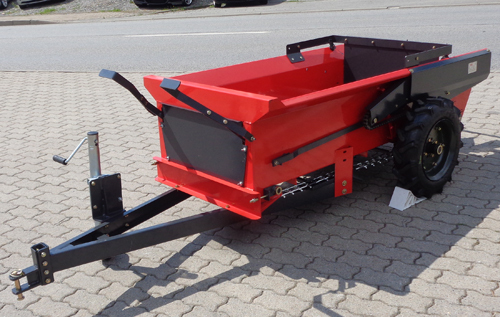 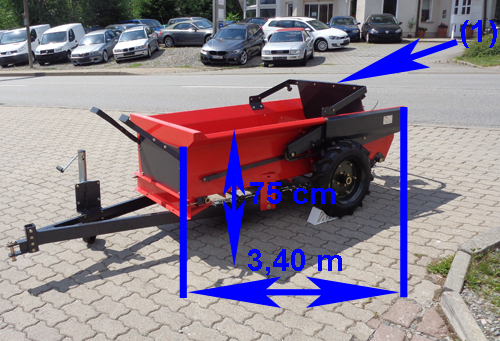 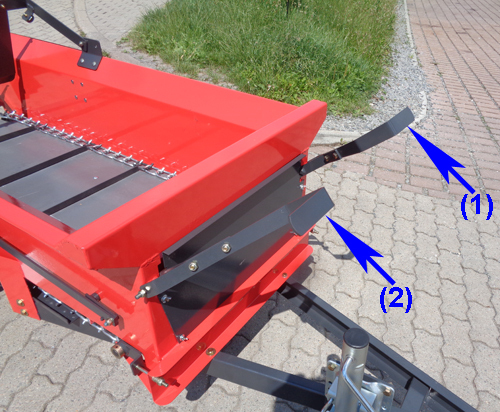 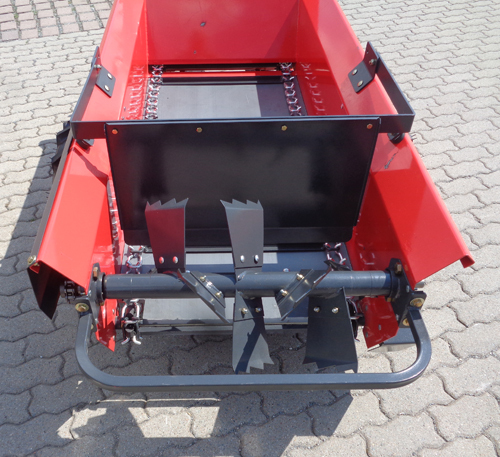 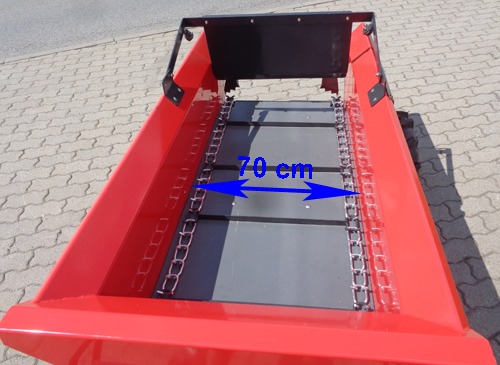 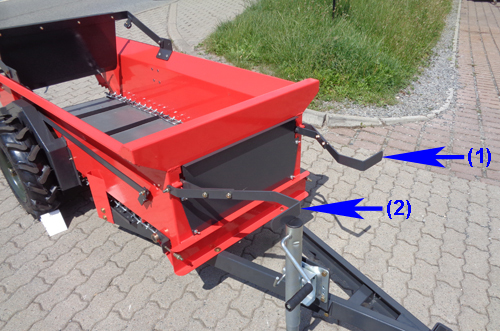 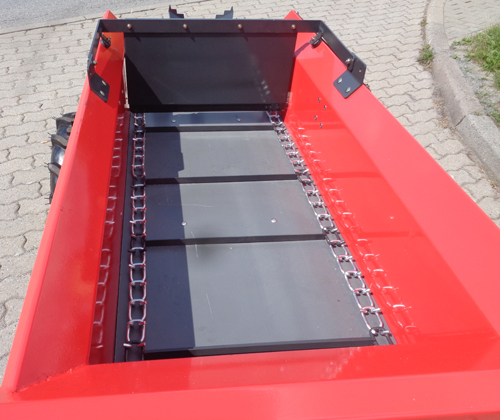 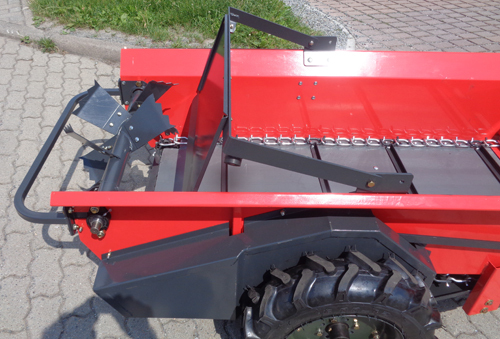 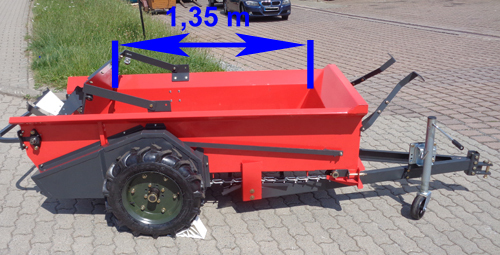 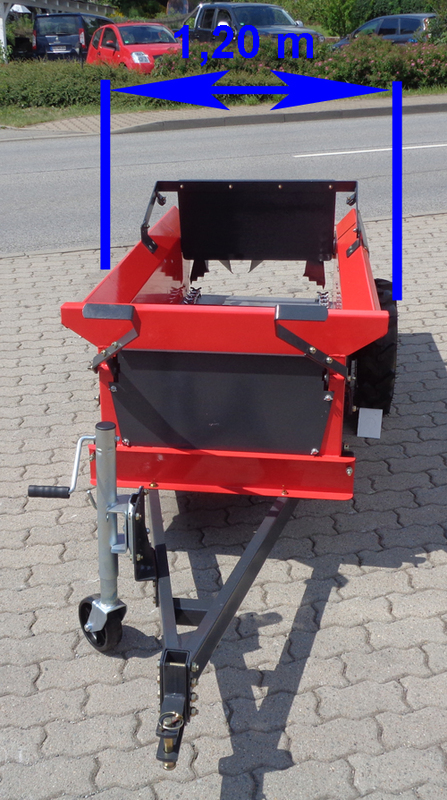 The manure spreader is designed for use in hobby agriculture. 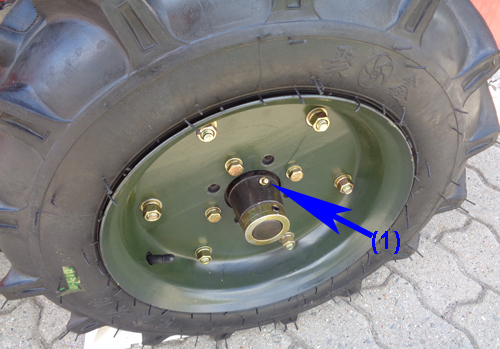 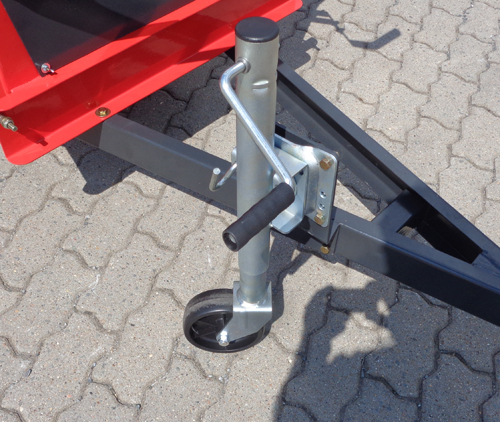 By means of the two levers on the front of the roller or the scraper chain is turned on. 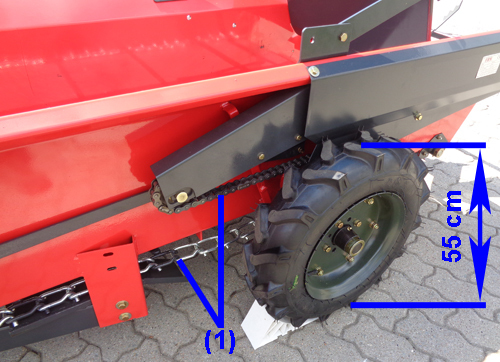 The wheels drive the rollers + scraper chains over chains. 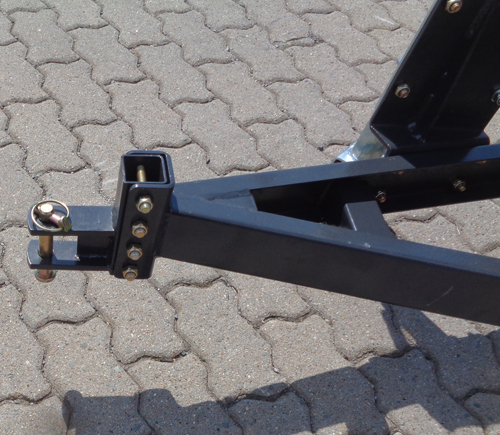 The baffle plate is infinitely height adjustable.